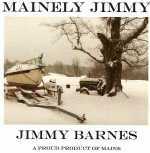 Mainely Jimmy - This CD is for the many people who have thanked me for keeping it "real" and no trying to be something other than what I am. Songs listed with the icon have samples available. Note - the samples are recorded at a lower than CD quality playback. Purchase the original CD for all tracks at the highest possible digital quality. Click the items listed with the icon to play the sample.